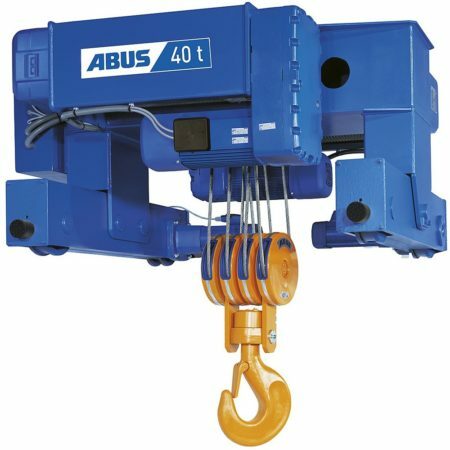 The SWL range of ABUS electric wire rope hoists extends from 1 t to 120 t. A wide range of models depending on application and requirements are available – starting with the standard wire rope hoist in the lower SWL range up to special crab unit designs incorporating additional features at the higher SWL range. 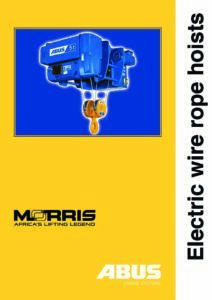 However, all wire rope hoists have these characteristics in common: the highest levels of up-time availability, and safety within materials handling operations. 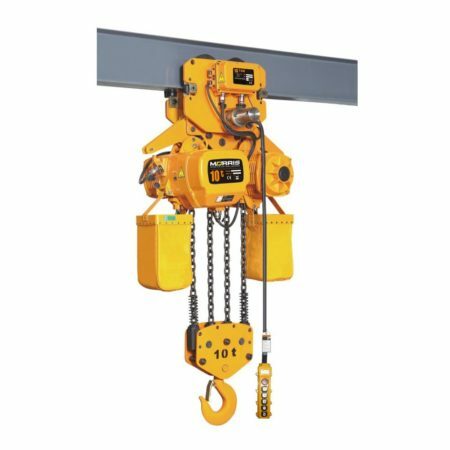 The “Morris” Chain hoist offers a range of lifting capacity from 500kg – 25 tons. These are made for heavy duty application. sea water and chemical environments. Low overall headroom and weight with minimal pulling effort in compact design. Hooks are all forged alloy steel with wide throat opening and slip resistant safety hook to better retain sling. Standard voltage is 380V with options available for 525V / 3 phase as well as 220 V single phase. Explosion proof chain hoist available class Ex d IIB T4 GB. Suitable for the temperature of IB T4, Zone 1 or 2. Allowed temperature around hoist 135 degrees. 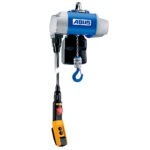 Chain hoists in daily use at workstations have to be robust, reliable and low-maintenance. 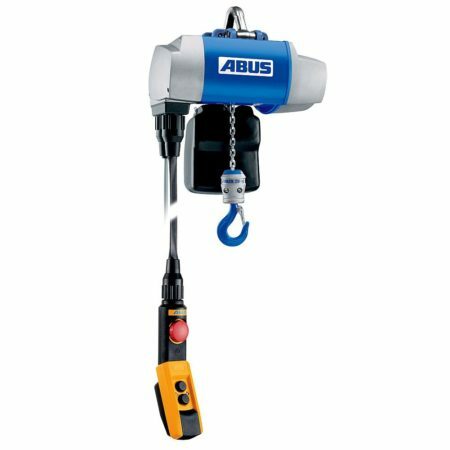 The ABUCompact range of ABUS electric chain hoists offer solutions for up to 4 t SWL featuring the high build quality for which ABUS is well-known. The modular design allows a huge range of lifting speeds of up to 20 m/min for hook paths of up to 50 m.
Precision lifting, safety slipping clutch and quick plug-type connectors are as integral a part of the standard configuration as is the tried and tested durable direct control for sizes GM2, GM4 & GM6.